At J.P. Motors our highest commitment is to you, the customer. This is why Our service department, with its experienced service advisors, accompanied by a strong compliment of mechanics and technicians, ensure that the service received during the purchasing process is carried through in the same exceptional manner for any service requirements after picking up your new vehicle. It has always been as important to us as it is to you that your experience before, during and after your purchase to be that of uncompromised and incomparable value. This is why when you walk through the doors at J.P. Motors you will read, "The people who walk through these doors are the most important people in the world." 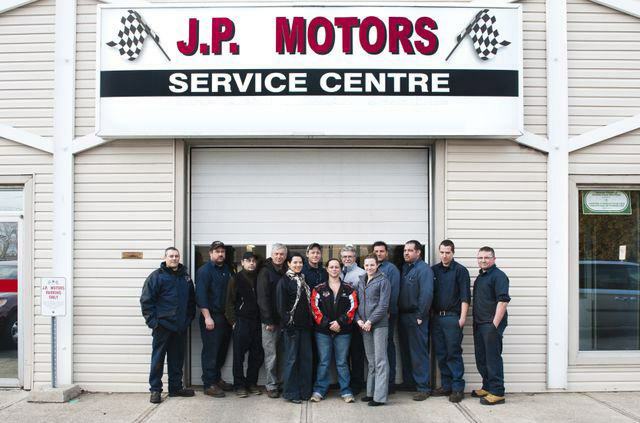 About Our Department J.P. Motors Service advisors and certified technicians work together to ensure you get honest, accurate and prompt service for your vehicle. This is a small example of what you can get done at JP Motors!